Jon Stewart's exit: Did Comedy Central let its 3 biggest stars slip away? Did Comedy Central let its 3 biggest stars slip away? Fifteen months ago John Oliver, Stephen Colbert and Jon Stewart were all massive stars on Comedy Central. Now Oliver is at HBO, Colbert is on the way to CBS and Stewart is preparing to sign off from "The Daily Show." It would seem that Comedy Central let talent slip through its fingers, although the channel may have had few options to stop them from leaving. Now Comedy Central finds itself in rebuilding mode, having just launched a new talk show, Larry Wilmore's "The Nightly Show," in Colbert's former 11:30 p.m. time slot. According to The Hollywood Reporter, Wilmore "has held less of Stewart's audience than Colbert did," though he's just getting started. 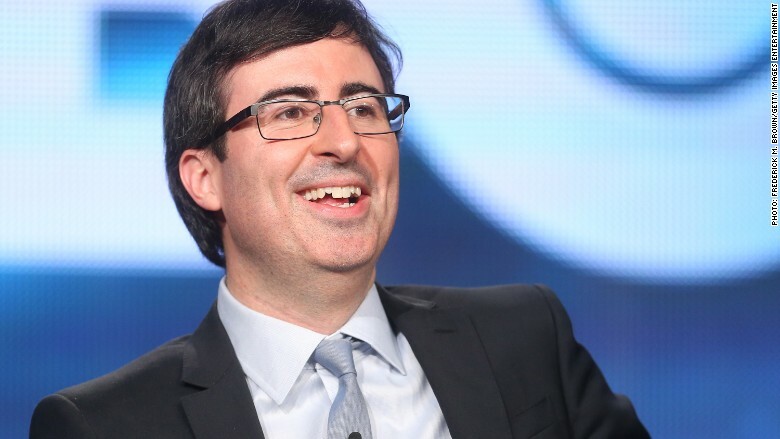 John Oliver, who might have been Stewart's successor, is now at HBO. 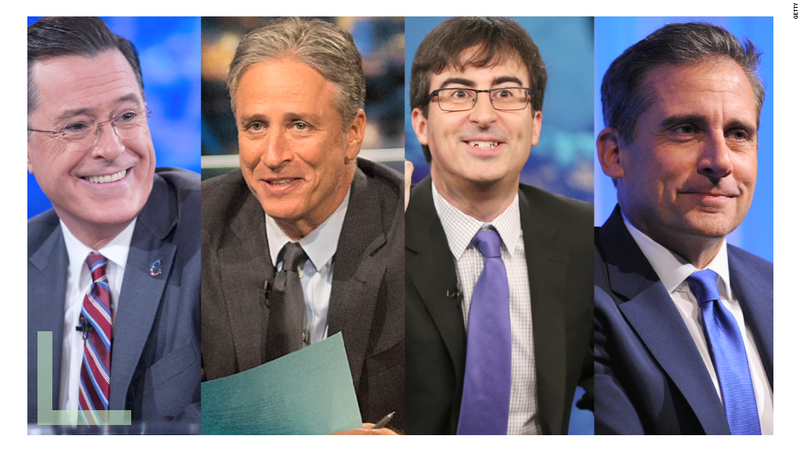 Speculation has already started about who might succeed Stewart on the 11 p.m. "Daily Show." Perhaps it could have been Oliver. When Stewart took a leave of absence in summer 2013 to direct his first feature film, "Rosewater," Oliver filled in. His performance was nearly universally praised. Some people even said they preferred John over Jon. There was an expectation that Oliver was first in line should Stewart step down. But then Oliver signed a deal with HBO for the weekly series that's now known as "Last Week Tonight." At the time, ScreenRant wrote that the departure "could be perceived as leaving 'The Daily Show' vulnerable, in that there is now no line of succession." "They should have tried to keep him," The Wrap editor in chief Sharon Waxman said on CNN Wednesday night. Oliver "really would have been, I think, the best heir apparent." Perhaps Oliver didn't want to wait for Stewart to sign off. Or perhaps a once-a-week commitment was more appealing than a four-days-a-week one. 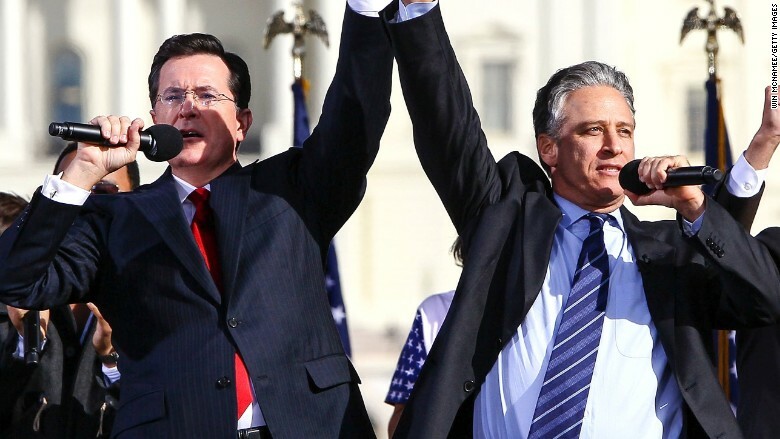 Stephen Colbert and Jon Stewart at their Rally to Restore Sanity and/or Fear. Six months after Oliver departed for HBO, Colbert won one of the hottest jobs in all of television -- "The Late Show," succeeding David Letterman. CBS (CBS), the home of "The Late Show," and Viacom's Comedy Central, the home of "The Colbert Report," are sort of siblings, since Sumner Redstone controls the holding company of both CBS and Viacom (VIA). "There is no way they were going to keep Stephen Colbert," Waxman said. "When a television network backs up the truck and dumps a whole lot of money at your door, it's really very hard to say no." Letterman will sign off in May, and Colbert will start in September. Other "The Daily Show" alums include Wilmore, Steve Carell, Ed Helms, Olivia Munn, Rob Riggle and Mo Rocca. With Wilmore, Comedy Central chose to promote from within. David Folkenflik, media correspondent for NPR, pointed out on CNN that Stewart and Colbert "were not who we think of now when they started each of their franchises." "They really evolved into it," he said. "They showed a spark, and Comedy Central deserves commendation for nurturing them along." The channel, he added, "rode this out for a very long time" -- 16 years in the case of Stewart.